Can Technology Really Solve The Food Waste Challenge In The Hospitality & Foodservice Industry? Home / Blog / Can Technology Really Solve The Food Waste Challenge In The Hospitality & Foodservice Industry? 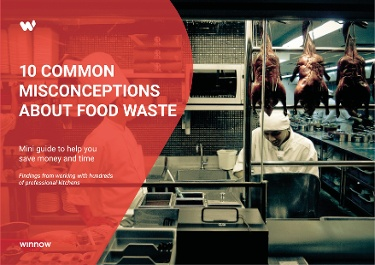 Food waste has become a global concern with ⅓ of all food being wasted, costing the hospitality sector over $100bn. With all eyes on this huge problem, what role does the technology sector have to play in finding lasting solutions? Last week we held a power breakfast as part of the London Food Tech Week. Moderated by Tom Levitt, Guardian Sustainable Business Deputy Editor, the sector’s leading thinkers explored how food tech trends likely to influence the food and hospitality industry in the future. Too Good To Go’s (TGTG) app lets you buy surplus meals from local eateries at the end of their service that would otherwise be thrown in the bin. The app has already proved successful in Brighton, Birmingham, Manchester and Leeds and it has 130 London places signed up to the service. The Sustainable Restaurant Association (SRA) is a not-for-profit organisation, which aids food-service businesses to work towards sustainability in their sector and guides customers towards more sustainable choices when dining out. Winnow’s technology is aiming to help professional kitchens reduce food waste in the pre-consumer space as well as tailor what they are serving to their guests. The system records what items are binned and why, to help restaurants and hotels to track where most waste is produced and make changes to reduce this. There is a sharp focus on the amount of food wasted both in the UK and globally. 600,000 tonnes of food is wasted by restaurants each year in the UK, whilst it is estimated that 1.3 billion tons of food produced worldwide doesn’t even make it as far as a plate. SRA’s research found that food waste is the second most important issue to customers, ranked behind not serving endangered species. Our panelists considered change in attitudes and behaviours as key for a successful food waste revolution and agreed that technology solutions are greatly contribute to this change. Both Winnow and TGTG’s technology play a strong role to encourage behavioural change towards food waste reduction while also the economic, human and environmental benefits are compelling to do so. Technology does a massive part in changing people’s perception. Too Good To Go is not just aiming to give people the chance to get meals for £2-4 but get them start thinking about food waste and change their reaction towards it. It demonstrates people that the food that has gone past its best-by date or has been prepared in the morning is still perfectly good to eat late in the evening. Working with hundreds of kitchens, Winnow’s experience show that food waste is often seen as a necessary cost of doing business by kitchens. It is a trade off between the kitchen’s team time and materials. Winnow found that the behaviour change element comes a lot faster when they realize the actual value of that waste. When kitchens are asked to estimate how much food they are wasting they guessing half what is actually happening when they start measuring it with Winnow. The food waste revolution is much about changing perceptions, attitudes and behaviours and technology can be a catalyst of this change. The issue of food waste is huge worldwide and there is enough space for other innovators to disrupt the problem with huge potential economic, environmental and social benefits.